Dapper Day has over the years become one of my absolute favorite times to go to Disney. 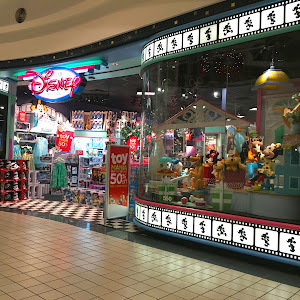 Imagine three of your favorite things, compiled into one fabulous day: Disney, dressing up, and nostalgia! Dapper Day is an homage to the beginning days of Disneyland in the 1950s and 1960s. Women would wear their best dresses, hats, gloves, and jewelry, and men would wear their finest suits and ties. What a time to be alive right? For Dapper Day, people wear period attire (usually 1950s and 1960s), and attend the selected parks where Dapper Day is held. I've seen 1970s to flapper dresses, and pin up looks to fabulous furs and gowns. It is not necessary to wear period attire, even just a simple dapper outfit is perfectly fine! 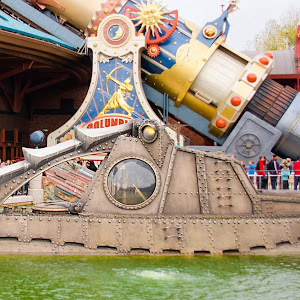 It occurs at Disneyland, Disneyland Paris, and Walt Disney World. The dates are usually posted about 9 months out. 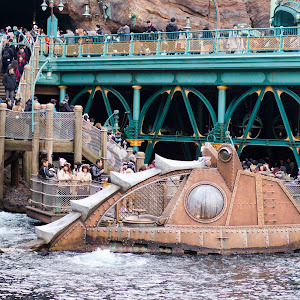 I'm literally going to rejoice if it ever crosses the Pacific Ocean to Tokyo Disney! I would like to first off say that I am not an expert on Dapper Day at all. I've made stupid mistakes, killed my feet, worn way too many pieces of clothing in 90 degree Florida weather, and had to pull things together completely last minute. This day can be super stressful, when it doesn't really need to be. I get a lot of questions about Dapper Day, and I don't want anyone to make the same mistakes I did. 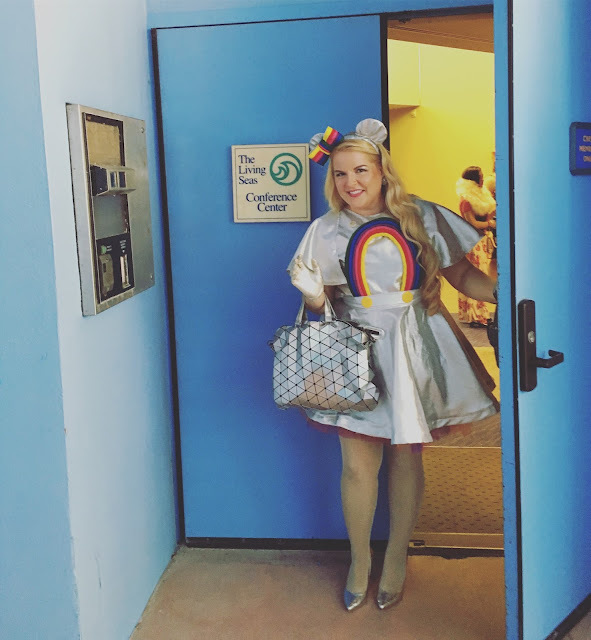 So, here's a blog post about my advice, things I do to prepare, and a little bit of an overview of Dapper Day. 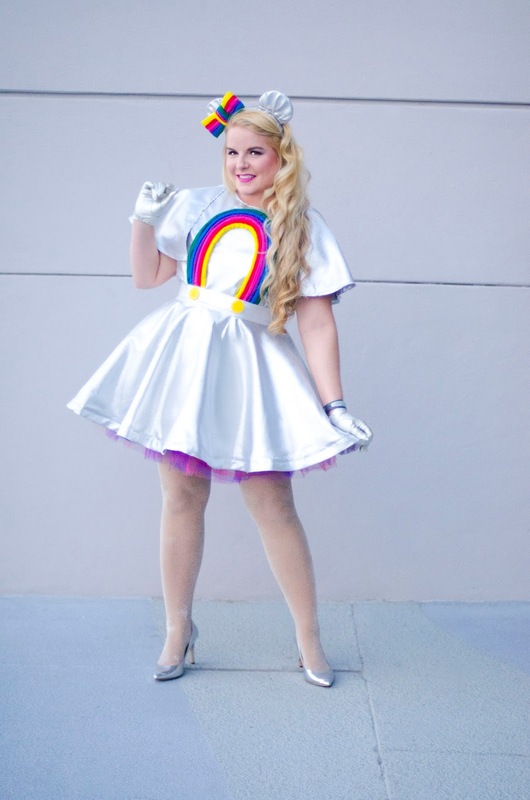 For more info on Dapper Day, visit DapperDay.com! 1. My first and main advice I can give is to PLAN AHEAD as much as you can! The sooner you can plan your Disney vacation is always best obviously, and Dapper Day is no exception. The sooner you can choose your outfits and the styles you're going for, the better. This may be crazy, but I am usually planning my next look months beforehand. I go to thrift stores and garage sales, and I always keep an eye out for something I can use for my outfits at a really good price. This saves me time and a lot of money in the end. There are also little things that I do ahead of time, like hanging up my petticoats a couple weeks beforehand to let them fluff out, ironing my dresses, and breaking in my shoes. If you plan ahead enough, you can find discount rates for selected Disney hotels on Dapper Day's website. I love that they offer this! This is my favorite part. This should be your window to put together something unique and fun! Let your creative juices flow! There are so many ways to express yourself for the event. 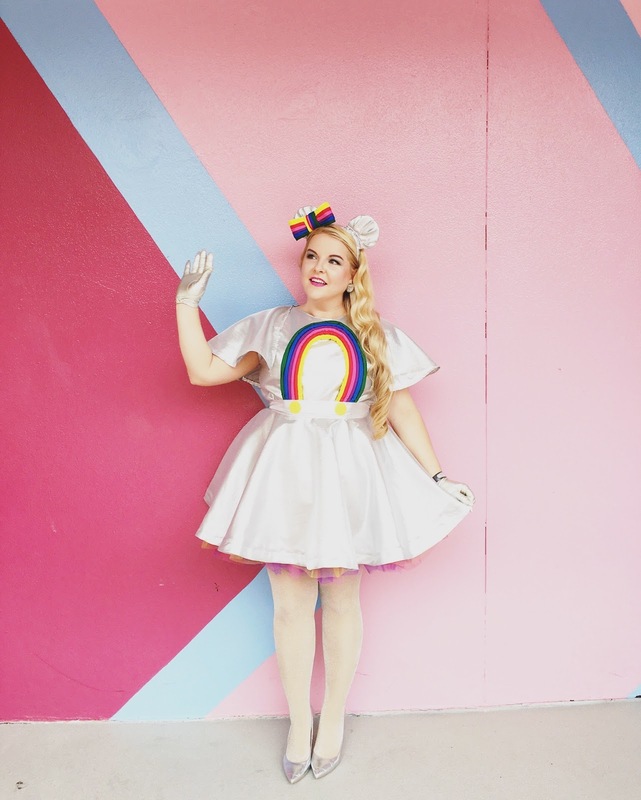 Whether you are Disney Bounding a character or attraction, wearing vintage pieces, or just dressing up a little, do what makes you feel best and the most comfortable. 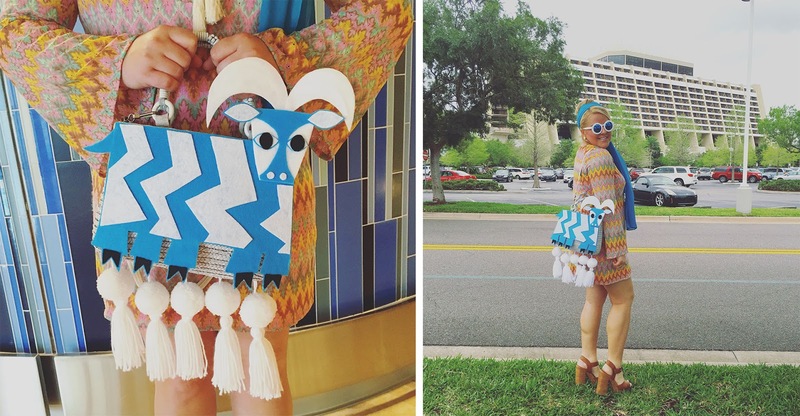 For Spring Dapper Day 2016 at the Magic Kingdom, I decided I was going to Disney Bound the Contemporary Resort/Five Legged Goat. I was so inspired by these images of Mary Blair when she was working on the Grand Canyon Concourse Mural. Girl was talented and had style! I saw this handbag (above) from Southern Curls & Pearl's blog and knew I wanted something very similar. This teal scarf was thrifted at $2 a couple months before and I found these fabulous gold confetti lucite earrings from Desperate Beatnik. I ended up making a very similar bag with an old purse I found at the Goodwill. I glued on some felt in the shape of the Five Legged Goat, added some pom pom tassels, and voila! I pack a suitcase for Dapper Day just like any Disney trip, but my outfits are packed into separate bags. This may not be for you, but this is just what I do so I don't forget any accessories or clothing items the day of. For example, I go to Dapper Day at Walt Disney World and we have two days of Dapper Day. I pack my Saturday outfit in one bag, and my Sunday outfit in another. In these bags, I pack my tights, jewelry, magic bands, hats, gloves, and sometimes specific makeup items I might be using for an outfit. The only items I don't put in these bags are my dresses and petticoats. I've always struggled with planning the day, and whether I want to go at park opening or go to the parks later in the day. This will all just depend on you and what you prefer. 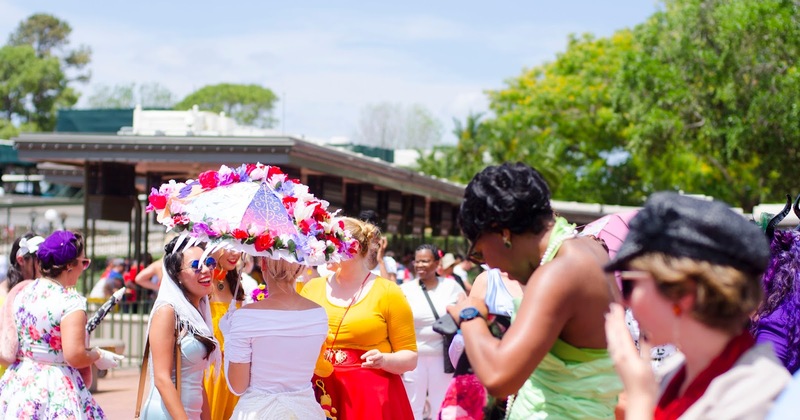 With my experience, I like going later in the afternoon rather than early in the morning, especially for Spring Dapper Day at WDW (when its REALLY hot). Take some time to sleep in a little, relax, go to brunch, hydrate, and then take on a hot day at the parks. You can also take time earlier in the day for pictures when your makeup and hair are still fresh. I also don't make any dining reservations for Dapper Day. I try to only eat small, quick service meals so I'm not super bloated in my outfits. Also, these days are always filled with meeting people and taking pictures, so I don't want to be chained down by a reservation. 5. Take HEED: Dress for comfort! The biggest thing I can stress is to make sure you are comfortable. You're going to a theme park, it's hot, and you're going to be doing A LOT of walking. Just like you do normally at Disney. Even though I've been going to WDW since I was four, I still haven't learned. See these two examples below from Spring Dapper Day 2016 when I wore those platform sandals. I literally thought I broke my feet that day. 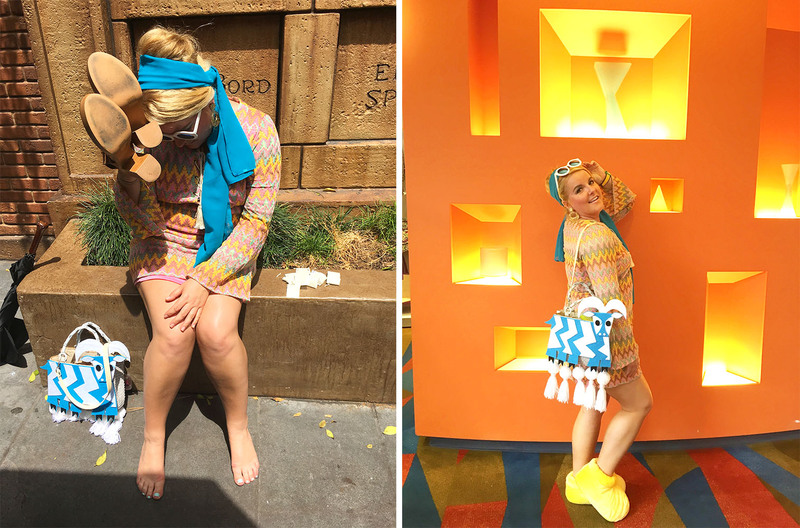 Below is never before seen footage of my personal Dapper Day hell, thankfully saved by Mickey slippers! 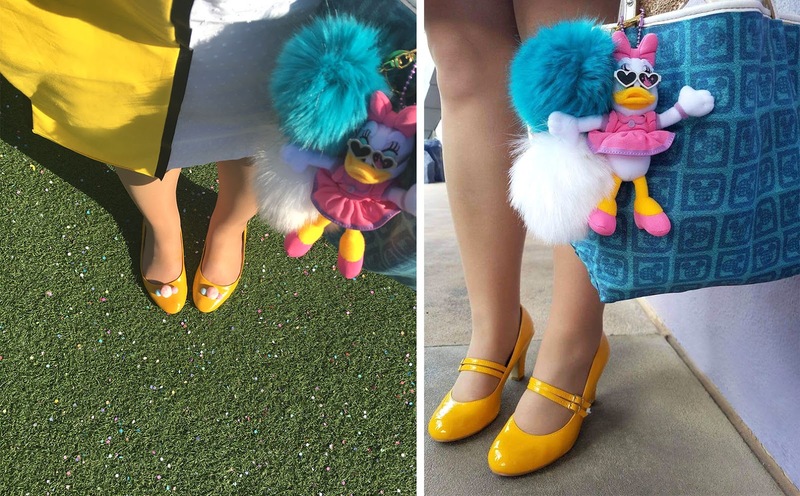 Here's a side by side of Spring Dapper Day 2017 when I wore yellow heels, but I also brought yellow flats to switch out into when my feet hurt. For the past couple of years, I've attended the private event at the Living Seas Lounge and it has been so much fun! They had a mini-boutique with shops like Pinup Girl Clothing, cocktails, a DJ, and it was a great place to hangout inside away from the heat. 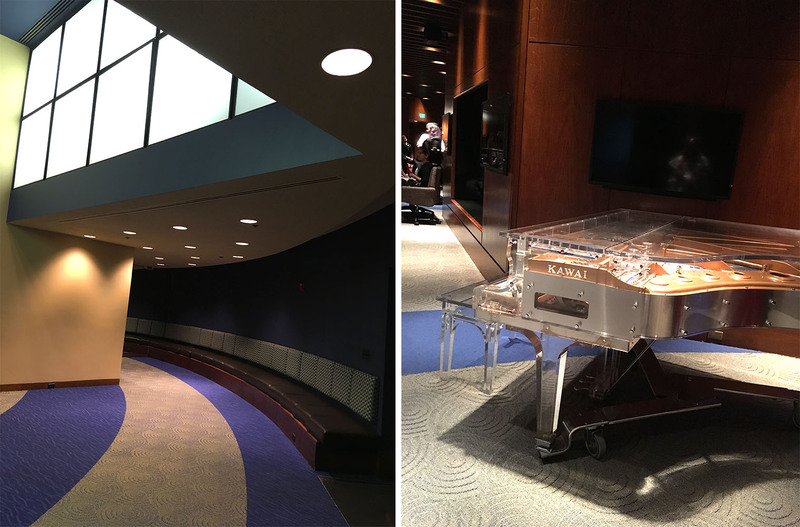 I'm also a huge EPCOT nerd, so getting to go behind the scenes to the lounge was really the selling point for me. For this year's Spring Dapper Day, Charles Phoenix will be at the Grand Floridian and I could not be more excited! Dapper Day does not organize photo meet ups anymore, but there is always a Disney Bound photo meet up as well as many others. For WDW, there is also a Dapper Day kick off on the Friday before at Disney Springs. I haven't been able to attend yet, but hopefully I will be able to in the future! 1. Bandaids for your feet. 3. Oil blotting paper, fans, or brushes - whatever you use to make sure your makeup doesn't melt off completely. 4. I emphasize your phone charger or portable phone charger because Dapper Day is not a regular park day. It is a basically a photo shoot. 5. If you wear a white dress as seen below, make sure you pack a tide pen, or you could be walking around with dole whip on your dress. What I DON'T pack is water. I know water bottles are expensive to have to buy at the parks, but they always end up weighing down my cute purses! I hope this post has helped anyone who was curious about Dapper Day or just wanted to know my advice and how I prepare! Like I said, this is one of my favorite times to visit Walt Disney World. I love seeing everyone's beautiful outfits, as well as outfits that people create and put together themselves. It's almost like stepping back in time, seeing everyone dressed their best, walking through the parks! There really is nothing like it! Dapper Day at Disneyland is only days away, and Dapper Day at Walt Disney World is coming up right around the corner. I hope to see you guys there!